Here's the deal, Somerville FUMC cares about one thing more than anything else, Jesus Christ. We are a family of individuals that have found hope in Jesus, and simply want as many people as possible to experience that exact same freedom. Somerville FUMC has been serving our community for 190 years! Our current sanctuary was built in 1917. Our first official service in the new sanctuary was not until June 1918, so we are celebrating its 100th Birthday this year! The earliest documented Methodist sermon in Somerville was delivered in 1828 by a circuit rider identified as Reverend Thomas J. Neely. 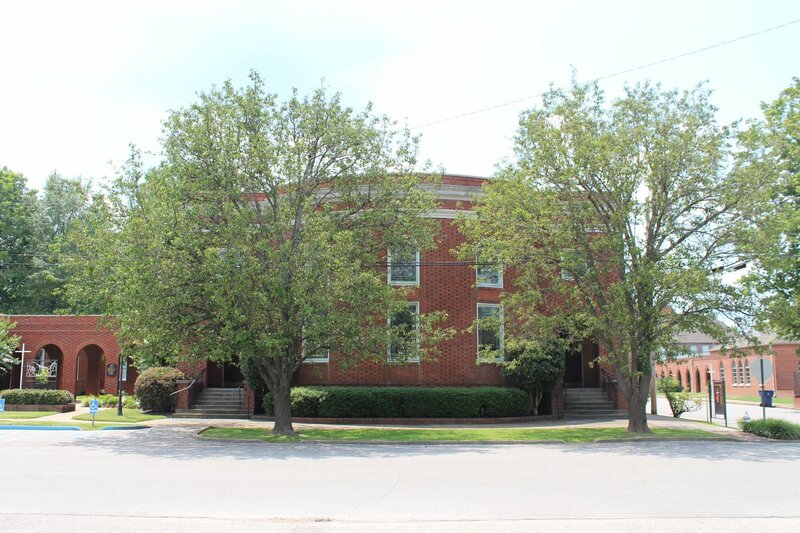 Our church was first mentioned in 1830 when we joined nine other Methodist Churches to form the Bolivar Circuit. Our first church building known as "Green Coe Chapel" was built on our current campus on July of 1837 and on February 19, 1838 was deeded as the Methodist Episcopal Church. In 1917 the "Green Coe Chapel was torn down and our current sanctuary was erected and completed in late 1917. What's the bottom line? More than ever, Somerville FUMC is committed to fostering a family built around hope. Hope for the future. Hope for better. Hope for progress. Hope in Jesus. And as we move forward as a church family, inclusion and belonging remain at the center of who we are as followers of Christ. What does this mean for you? Most importantly, you're always welcome at Somerville FUMC. We're saving a seat for you. Wherever you're at in your faith journey, you'll always be accepted as part of the Somerville FUMC family. 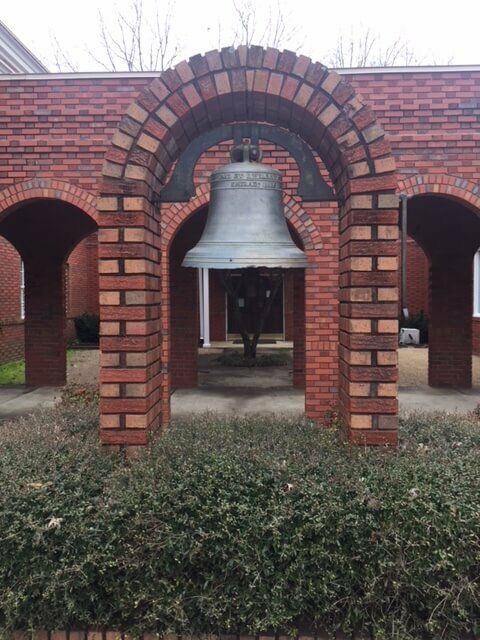 Our church bell was cast in 1834 by J. Wilbank in Philadelphia and rang out its invitation to worship for many years atop Green Coe Chapel. In 1968 Mrs. Mary Blakely Stainback Jones donated the brick arch that supports it today as a memorial to her parents.